• Cuban-American author Alisa Valdes (formerly Valdes-Rodriguez) released her third book in The Dirty Girls Social Club series, Lauren’s Saints of Dirty Faith, this week. She’s selling the novel by e-book and paperback through an online merchant instead of through traditional bookstores. An excerpt of the book can be found in the October issue of Latina magazine. • The Guardian reported that Colombian Nobel Prize winner Gabriel García Márquez’s 1996 book, News of a Kidnapping, has been selling out in Tehran because it has drawn similarities to kidnappings in Iran. • Puerto Rican writer Justin Torres continues to get critical acclaim for his book We the Animals, and, as this Reuters article points out, he has made it to the New York Times bestsellers chart. • A campaign to bring a Latino-oriented bookstore, called La Casa Azul, to East Harlem has drawn attention from the Shelf Awareness e-newsletter and the Huffington Post. The owner hopes to raise $40,000, which an anonymous donor will match. 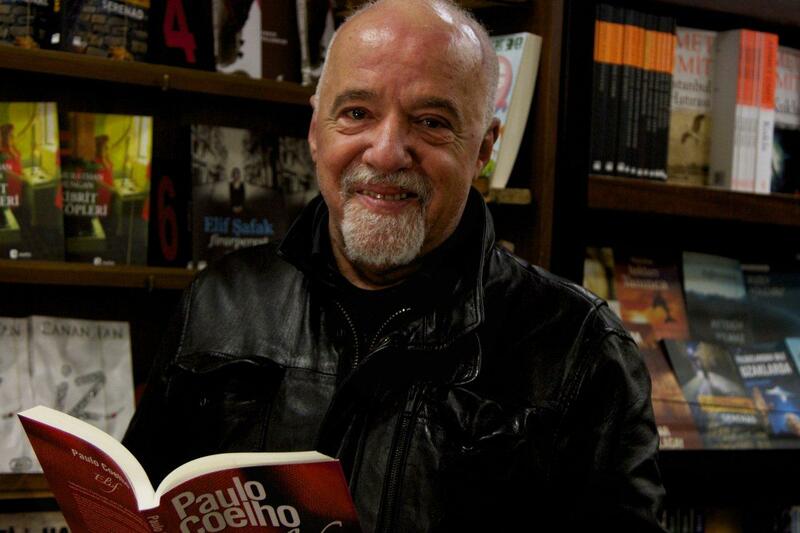 • Brazilian Paulo Coelho, (pictured at right) author of one of the mega-bestselling book, The Alchemist, will release his latest novel, Aleph, on Sept. 26.